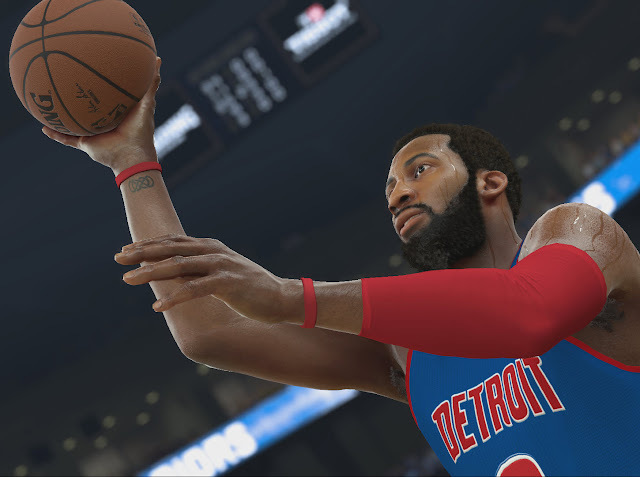 In NBA 2k17, the action is smoother than ever and there are so many different modes, options and sliders that almost anyone should be able to pick up this latest release in the popular franchise and enjoy themselves. 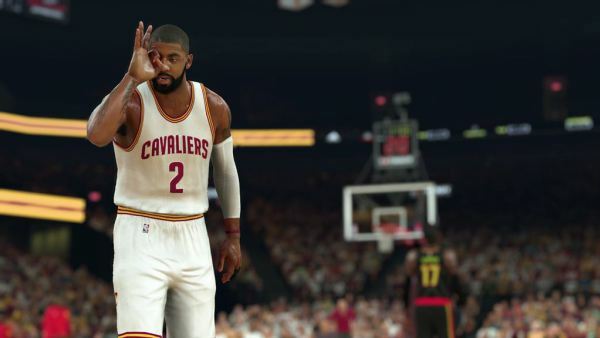 Admittedly 2K Sports has had the best NBA franchise for years now, and there is no real competition for NBA 2K17 - but that doesn't mean that the developers have been resting on their laurels. It would be really easy for Visual Concepts to just mail it in. EA has not produced a competitive NBA video game in several years now. And, unlike football and baseball, there's nowhere near the number of small independent developers trying really creative things of their own. It works to 2K Games' benefit that all the bells and whistles you could want are here, as NBA 2K17 is an incredibly polished experience. The audio is strong yet again, bringing in familiar voice talent and giving them plenty of new lines to work with - both in the pre-game as well as during the game itself. As with any sports title where you play dozens (or in my case hundreds) of matches, you are going to get some repetition, but all in all the commentators are pretty good. Visually this is by far the most impressive basketball game to date. Is it perfect? No, but I've always thought that NBA games had it harder than most sports titles when it comes to the character models. Faces are not obscured by masks and helmets, bodies have musculature and shape that is lost in other sports games with heavy pads and uniforms that completely cover the body. There are some goofy animations that can occur on some collisions, and I still get a little frustrated at times with how 'sticky' the post game is. What I mean by that is for years now, ever since an actual back-to-the-basket form of offence was integrated into video game basketball, players tend to get locked into a grapple of arms and legs that becomes very unwieldy. Now this is something that can happen when playing the sport in real life too, but here it does happen just about every time, which makes the risk of a three second violation frequently annoying. That being said, I've certainly played basketball games (including earlier iterations in this series) that were far more egregious in this area. In truth, this is about the best-handling version of NBA 2K I have experienced in a long time, possibly ever. 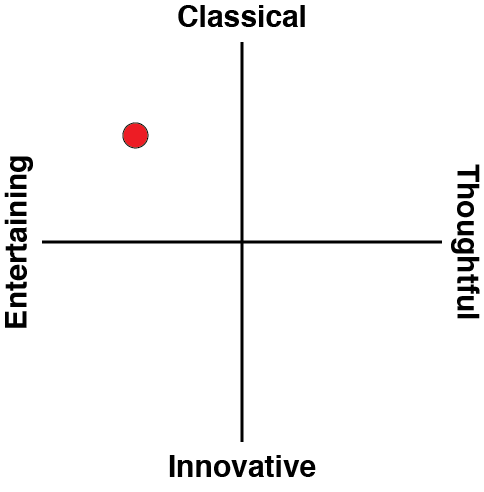 Character movements are a little less rigid, defenders a bit less psychic. The end result is fewer steals due to sloppy passes or artificially clogged passing lanes that allow you to make passes into the paint. Perhaps this is most evident in some of the lobbing / overhead passes that you can loft in for post players who are on the backside of their defenders. I have not been particularly adept at good alley-ooping for a couple of years now, but I have had a handful of pretty spectacular plays in this year's game. Like most sports titles these days, you have a wide variety of modes from online play to the popular collect cards of players to build a sort of fantasy team, to a wide variety of options that can be applied to a franchise mode and more. These are all quite solid, but the place I tend to spend the majority of my time in any NBA 2K game is in the MyCareer mode, and this year does not disappoint on that front. I felt that last year's version of the game was hit and miss with how the narrative was handled. 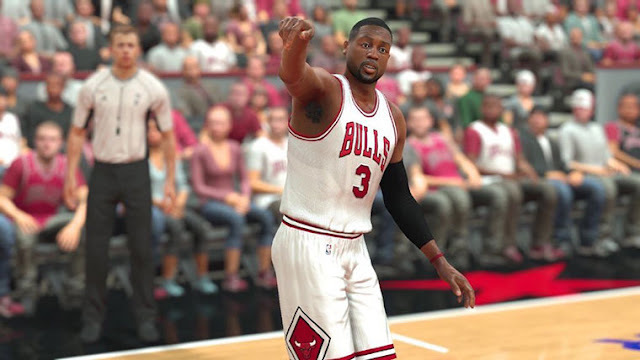 On the one hand, I am a sucker for a story and NBA 2K16 told one in its career mode. This was something I could appreciate, but for whatever reason the story really did not click with me - it never really felt like 'my story' because there were events that seemed out of line with what I would have had my player do. It certainly helped make everything more dramatic, but it felt less like 'MyCareer' and more like 'SomeoneElse'sCareer'. This year you have a bit more say in how things develop, and frankly the story is a bit more generic but also left me with a greater sense of ownership over how my career would develop. 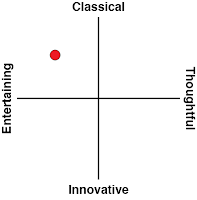 It is not perfect, I can think of things I'd like to see in the future that would lend even more granular control over things, but it is one of the better career modes that I've seen. Taking my player through an abridged college career and letting him play for the national team, getting drafted in the lottery and watching him work through the league as a backup to eventually becoming a starter who can hang up some very legitimate numbers is incredibly rewarding. Everyone's own personal style will no doubt come out when they play. I try a few different roles every year, from a playmaking drive and dish point guard to a lights out three point threat - but in the end I always wind up taking an athletic centre. There's just something about doing the dirty work of setting screens, getting rebounds and triggering fastbreaks with a crisp outlet pass that meshes with how I play the sport of basketball in real life and translates very well to 2K Sports' video game adaptation. That is not to say everything was perfect upon release. Servers online were a little laggy initially, making it harder to be successful with perimeter oriented teams that like to take outside shots, since precise timing is such an important factor. I ran into a glitch with MyCareer mode where my primary player simply won't load any more (but the good folks at 2K support are working with me on the issue while giving me an excuse to play one of my other MyCareer players in the meantime). There were a handful of smaller bugs that were evident in the first week, though just about all of those were cleaned up with the patch that was released earlier this week.